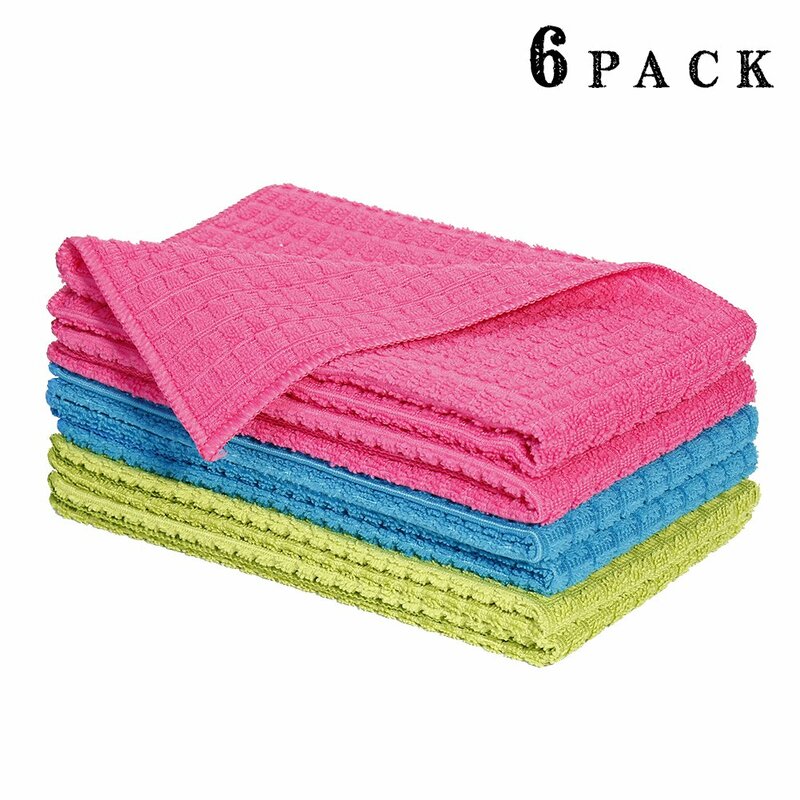 Home › Home and Kitchen › Dozzz Basic Kitchen Waffle Terry Dish Towel Microfiber Cleaning Cloth Drying ..
Dozzz Basic Kitchen Waffle Terry Dish Towel Microfiber Cleaning Cloth Drying ..
Color: 6 pcs kitchen towel Microfiber scrubbing cloths have nonabrasive nylon scrubbing stripes thatclean on one side and polish on the other. Microfiber makes a superior cleaning cloth and allows you to clean withoutusing harsh chemical cleaners. These cloths are machine washable and long-lasting, creating less waste overtime than using paper towels or thin rags. DOZZZ microfiber scrubber dishcloths are perfect for cleaning, washing, anddrying. Microfiber is a lint-free, non-abrasive, and hypoallergenic productthat allows you to clean without the use of harsh chemicals.